Don't Believe These AC Myths! | Fresh Air, L.P.
Don’t Believe These AC Myths! There are a surprisingly good amount of misconceptions out there around the operation and maintenance of HVAC systems. If you want to save as much energy, money, and headache as possible, it’s a good idea to find out if these myths are true or not. Fortunately, that’s what we are here for! 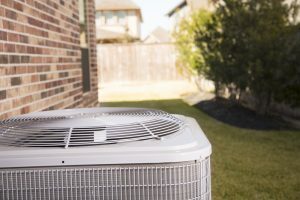 We want to debunk some of the leading myths about air conditioning that could leave you paying more than you should be each month for the operation of your cooling system. Upon installation, your air conditioner is supplied with enough refrigerant to ideally last its entire lifespan. That refrigerant goes through a continuous cycle and never runs out. That is, unless you have a leak. If you have a leak, then yes, your refrigerant will need to be refilled (what we in the HVAC industry call “recharged”). But, the next step is actually repairing the refrigerant line where the leak occurred so it never happens again. If an amateur handyman or ‘professional’ tries to convince you that you need to fill up your refrigerant every maintenance appointment, and they plan to charge you extra for it, please know this is not correct. Well, no. It will cause your air conditioner to run longer, in order to meet that lower temperature, but it won’t cool your home down any faster. “Why does this matter,” you may be wondering. Well, because you’re causing your air conditioner to run longer than it needs to, and therefore work harder than it needs to. Ultimately, this means you’re paying more in energy bills and wearing your cooling system down faster. Have you ever looked at your air filter after a few months? Dust and dirt builds up on it and it makes it very difficult for air to move through the unit. Letting a dirty air filter stay put for too long puts undue stress on the system, not to mention you won’t feel as cool and comfortable as you should when using your air conditioner. Another part of this myth is you can just have your HVAC technician check the air filter during your maintenance appointment. We will look at your air filter, but given that the most often people typically have maintenance done is every 6 months to a year, we wouldn’t recommend waiting. In fact, we suggest that depending on the type of air filter you have, you change it every 1-3 months. There’s good intent behind this myth. The fact is that your air conditioner uses most of its energy cycling on and off. Therefore, if you come home to a warm house and your air conditioner has been off all day, your home is going to be hot, and it’s going to take longer for your air conditioner to reach the desired temperature on your thermostat. Ultimately, this will leave you feeling uncomfortable for a bit longer than you would like, but to say it wastes energy is actually a misunderstanding. It does waste energy to turn the thermostat down as low as it will go, as we referred to above, but if you want to turn your air conditioner off during a warm weekend that you’re not going to be home, and you don’t have any houseplants or pets to worry about, then by all means, turn it off. For quality air conditioning repair in Katy, TX, contact Fresh Air, L.P. today!